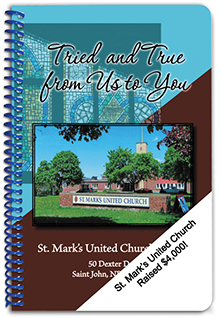 We have helped thousands of church groups throughout North America reach and exceed their fundraising goals! 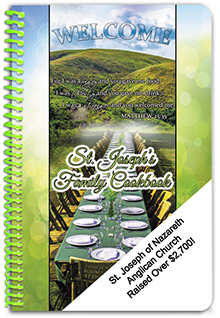 Whether the congregation is raising money for new windows at the church, or as an effort to support a mission in a third world country – a fundraising cookbook is a great way to get everyone involved. 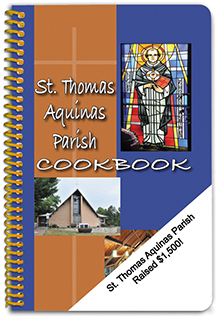 These are some cookbook covers from actual churches – just like yours! We wanted to show you how successful their fundraising efforts were. 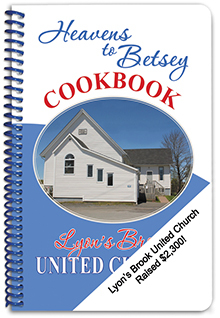 A cookbook encourages congregation involvement. 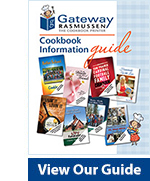 It provides an actual in-hand keepsake to give to your supporters. 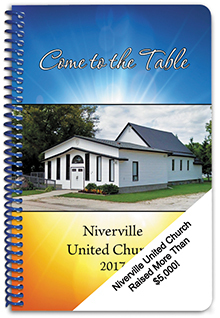 A cookbook is something people will refer to time and again, and cherish for years, especially when everyone in the congregation – and often the entire community – have contributed. And we can personalize and customize it however you like! 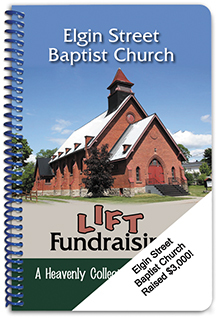 Include a history of the building – or perhaps a message from the pastor. 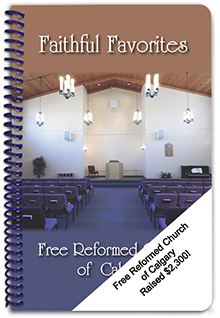 Use a photo of the church on the front cover. Include quotes or scripture. Fast & Easy – with online recipe submission and state-of-the-art production facilities, production time is as fast as 4 weeks. We are here to help you – every step of the way – with over 50 years of experience in helping groups just like yours raise funds for their cause!